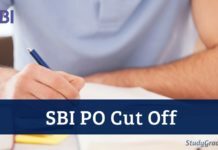 RBI Assistant Application Form 2019- Reserve Bank of India (RBI) will release the online application form of RBI Assistant 2019 Examination in the month of October 2019. Candidates who will satisfy the eligibility criteria will be able to apply for the examination till November 2019. Candidates will have almost a period of 25 days to submit their filled application forms. RBI Assistant 2019 Exam will be conducted for recruitment of eligible candidates to the post of Assistants in various offices of the Bank. The exam authority will not receive any hard copy of the application form. RBI Assistant 2019 application form will be available on rbi.org.in. 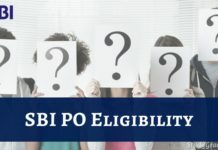 Along with the application form, candidates need to submit the application fee and the requisite documents such as the scanned copy of recent photograph and signature to complete the RBI Assistant 2019 registration. We will host the direct link of the RBI Assistant Registration 2019 after the official release. Eligible candidates can only apply online for the test. 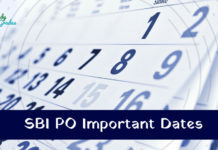 For details, read the complete details of RBI Assistant Application Form 2019. The given table provides the important dates related to the registration. Candidates should submit the application form before the deadline. Age Limit- The age of candidates should lie between 20 and 28 years as on 01 October 2019. Educational Qualification- Candidates should have qualified a Bachelor’s degree with at least 50% marks and should have knowledge of word processing on PC. 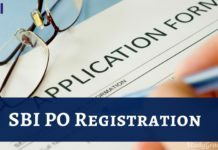 How to Submit the filled RBI Assistant 2019 Application Form? Candidates have to follow the below given step-wise application procedure to fill the RBI Assistant Application Form 2019. Follow the steps and fill the online form successfully. Enter your Name, Email-Id and Contact details. Now, the system generated provisional Registration Number and Password will be displayed on the screen. Candidates have to submit the prescribed application fee from October to November 2019 through online payment. Staff candidates are exempted from payment of fee. Candidates can use Credit Cards, Debit Cards (RuPay/Visa/MasterCard/Maestro), Internet Banking, Cash Cards/ Mobile Wallets or IMPS to submit the fee. Only online mode to remit the fee will be accepted. No other mode for filling RBI Assistant Application Form 2016 or incomplete steps would be accepted. Candidates must ensure that the resolution of images should be a minimum of 200 dpi (dots per inch) and the format will be .JPEG only. Stay Connected With StudyGrades to get Latest RBI Recruitment 2019!